An Australian naval exhibit, Clash of the Carriers: the Battle of the Coral Sea, will be on display at the Military Aviation Museum from August 4th through December 31st. 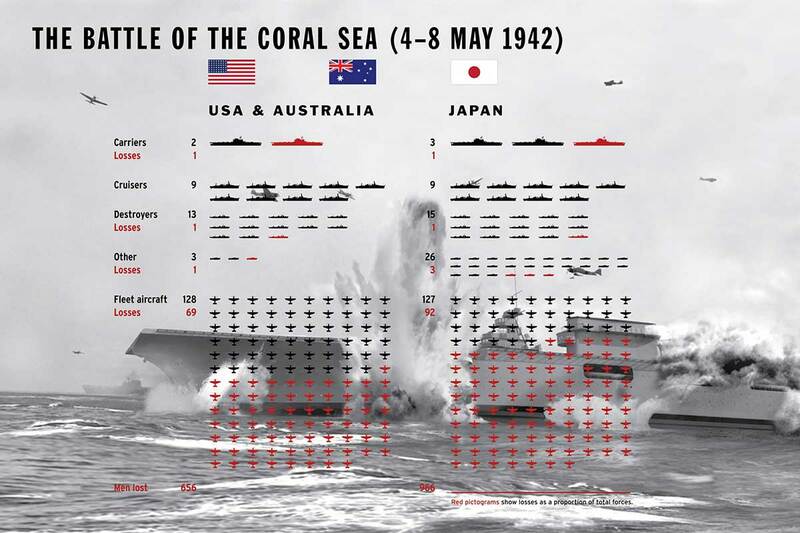 The three-banner display and dramatic new video documentary presentation highlights the four days in May 1942 when three navies, four aircraft carriers, 255 aircraft and 76 ships fought a battle that changed naval warfare forever. Eight ships were sunk, 161 aircraft destroyed and more than 1,600 men were killed in the world’s first sea battle between aircraft carriers. Video content includes interviews with American and Australian veterans of the battle. This exhibit is on loan from the Australian National Maritime Museum with the Military Aviation Museum as it tours the United States. It highlights the ongoing friendship and alliance between our two countries and has been developed as part of ANMM’s ‘War and Peace in the Pacific 75’ commemorative program. Clash of the Carriers is part of the Australian National Maritime Museum’s USA Programs and is funded by the USA Bicentennial Gift Fund. The Clash of the Carriers banner exhibition is included in the price of museum admission.